Corning uses four manufacturing and engineering platforms to reapply talents, repurpose assets, and yield innovations that give us our competitive advantage. The platforms are precision forming, vapor deposition, fusion, and extrusion. 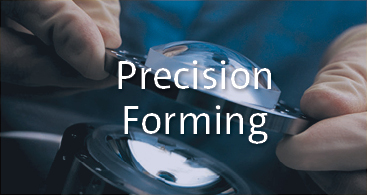 Precision forming applies Corning's expert knowledge of glass, plastic, and ceramics to form, shape, and mold materials to incredibly tight tolerances. We use our precision forming assets to make Life Sciences vessels that require an extremely high degree of accuracy, such as liquid-handling tools and cell growth surfaces. We apply this same expertise to make optical connectors that align hair-thin fibers perfectly and eliminate the need for splices. Precision forming is also enhancing the value proposition of Corning® Gorilla® Glass. Our vapor deposition process makes glass so pure that if it replaced the water in the ocean, you could see the bottom clearly from any point on the surface. This high-temperature process creates glass by depositing layer after layer of tiny glass particles on a growing surface, rather than cooling a molten liquid. 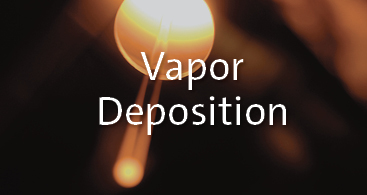 Vapor deposition is key to Corning's worldwide leadership in optical fiber. It’s also the foundation for our high-purity fused silica, which enables other specialized glass technology products like stepper lenses for mobile device semiconductors and sophisticated telescope mirrors. More recently, we applied vapor deposition to create our new Corning® Gorilla® Glass SR+ composite material, which is specially designed for wearable devices. 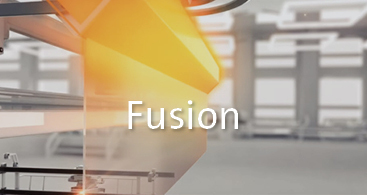 Corning’s fusion process was the first in the world to form sheets of specialty glass in the air, a feature key to Corning's innovation success over the past two decades. We use this platform to make our industry-leading liquid crystal display glass, as well as our tough, thin Corning® Gorilla® Glass for mobile consumer electronics and automotive applications. We also leverage our fusion process to enable flexible OLED displays. And it’s helping our Optical Communications business create new interconnects for high-speed switches, routers, and servers. 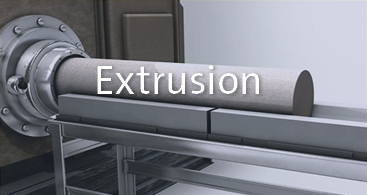 If you’ve ever made your own fresh pasta, you’re already familiar with extrusion. We do the high-tech version. High-quality raw materials are transformed into a paste-like substance that’s pushed through an extruder. Corning’s expertise in extrusion is why our cellular ceramic substrates can pack the effective surface area of a football field into an object the size of a soda can. The extrusion process also makes highly reliable and accurate pipettes for Life Sciences applications. And we’re leveraging this same expertise to make durable optical fiber cables for data centers.